Often overlooked between summer honeymoons and winter sun, booking an Easter honeymoon means choice galore from sunny short-haul escapes and adventurous getaways to the chance to relax on some of the world’s most beautiful beaches. Here’s my pick of the best, including memorably romantic places to stay. There’s a reason Italy is one of the most popular honeymoon destinations in the world, and with its beautiful scenery, seven Unesco World Heritage Sites and incredible food, Sicily has the perfect mix. Whether you want to lounge by the sea or explore the history and culture, Easter is an ideal time as the lemon trees bloom and the sun shines on the island. Indulge with five-star luxury at Verdura Resort with its private beach, while foodies will love the Grand Hotel Villa Igiea on Palermo’s waterfront. Or if you prefer Taormina, The Ashbee has a cable car to whisk you from infinity pool to beach. 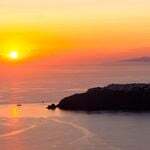 There’s no sunset more famous than Santorini’s, the deep blue of the caldera shading to gold every night – what more romantic way to end an evening? Add in chic hotels, atmospheric streets winding past the iconic white and blue of the buildings, plus the chance to hop to a few other Aegean islands, to make it even more tempting. Hotel Grace has the best views on Santorini, with nothing between you and the caldera but wild flowers, or you can hide away in your own romantic retreat in a little house for two, with its own private pool. Team it with a few days on Folegandros to escape the crowds completely, exploring deserted coves before drinks with a view at Anemomilos. From whale watching to mountain climbing, the lush tropical scenery of Madeira is ideal for an active honeymoon with plenty of timeless traditional luxury thrown in. Climb Europe’s second highest peak or wander through a rose garden, go canyoning or snorkel and scuba, with year-round sunshine just a short flight from the UK. Belmond Reid’s Palace is the most famous hotel on the island – don’t miss afternoon tea, whether you check in or not. The historic manor houses called Quintas are also perfect for boutique charm; try Quinta da Bela Vista or Quinta da Casa Branco. Hooray for Hollywood, and all LA’s famous glamour; star-spotting, ultra-chic hotels and restaurants and the endless stretches of beach are just the beginning though, especially if you fancy a road trip honeymoon. I recommend Exsus which does these trips with real style and panache: you could ombine California’s two great cities with a 12-night California in Classic Style holiday, driving from San Francisco to Santa Monica. Or explore Nevada and Palm Springs as well as LA, on a self-drive honeymoon to Las Vegas and Southern California. If you can’t choose between the two, you could combine both into a two-week Self Drive the West itinerary. And for the ultimate road trip? Route 66 finishes in Los Angeles, 2,448 miles after it starts on the opposite coast in Chicago. For a Caribbean honeymoon with a difference, unspoiled St Kitts has dreamy white sand beaches but a culture and history all its own as well as spectacular natural beauty too. Hike or zip-wire through the lush rainforests before watching turtles hatching on the secluded beaches. Discover the coast, snorkelling and sailing with plenty of sunbathing in between, or take the ferry to little neighbouring Nevis. And the hotels are just as unique: colonial style and plantation charm gets a luxury update at Belle Mont Farm, discover the boutique Ocean Terrace Inn with its lagoon pool, or check in to St Kitts Marriott Resort for nightlife on the doorstep. There are few places where you can explore rainforest, cloudforest, volcanic peaks and wonderful beaches all in one destination. But Costa Rica packs them all in, along with some stunning eco lodges and stylish boutique hotels, so there’s a honeymoon to suit every style. If you like adventure, this Volcano & Cloud Forest trip includes trekking, white-water-rafting, zip lining and horse riding. There’s more to the Indian Ocean than beautiful beaches alone, especially with a honeymoon to Sri Lanka. As well as its own tempting coastline, you’ll find unbeatable wildlife – the only place you can spot the world’s biggest land mammal and its biggest marine mammal, spying elephants and blue whales in one trip. Or uncover the country’s history at a string of Unesco cultural sites, with palaces and temples plus more recent colonial history on this Insider’s Guide to Sri Lanka. Some of the best places to stay for honeymooners include Ulagalla Resort in the Cultural Triangle, Chena Huts in Yala and the Sisindu C in Koggala. For extra white sand beaches, combine a honeymoon in Sri Lanka with time in the Maldives for a twin-centre escape mixing culture and chilling out. There’s nowhere quite like Madagascar. From its unique wildlife and natural treasures to its little known beach escapes, a honeymoon on the fourth largest island in the world guarantees adventure. 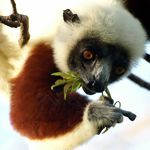 Discover some of its 200,000 species of flora and fauna, 80% of which are found nowhere else on earth, marvelling at lemurs and baobabs as well as Madagascar’s mix of cultures. Get a taste of the highlights with a classic Madagascar honeymoon or create your own bespoke getaway exploring some of the smaller islands off the coast, such as Nosy Be. And for true luxury, Miavana on the private island of Nosy Ankao has the same level of indulgence as the more traditional Indian Ocean honeymoon islands. Who wouldn’t want to be castaway on the Cook Islands? 15 islands scattered across the Pacific Ocean, this laid-back spot has some of the world’s most beautiful scenery. Snorkel and swim in the pristine turuqoise lagoons, explore lush green tropical forest on the volcanic ridges or visit the villages; even main island Raratonga takes only an hour to drive around. If you can tear yourself away from the romantic accommodation, that is. Hide away in one of 12 Sea Change Villas on the beach and lagoon, or indulge at the spa of Te Manava Luxury Villas. Less than an hour away, glorious Aitutaki is one of the South Pacific’s best-kept secrets, home to spectacular reefs and Polynesian style at the Pacific Resort Aitutaki.